Sorry for the lack of posts recently. I have a bad cold. Hopefully it’ll go away soon. 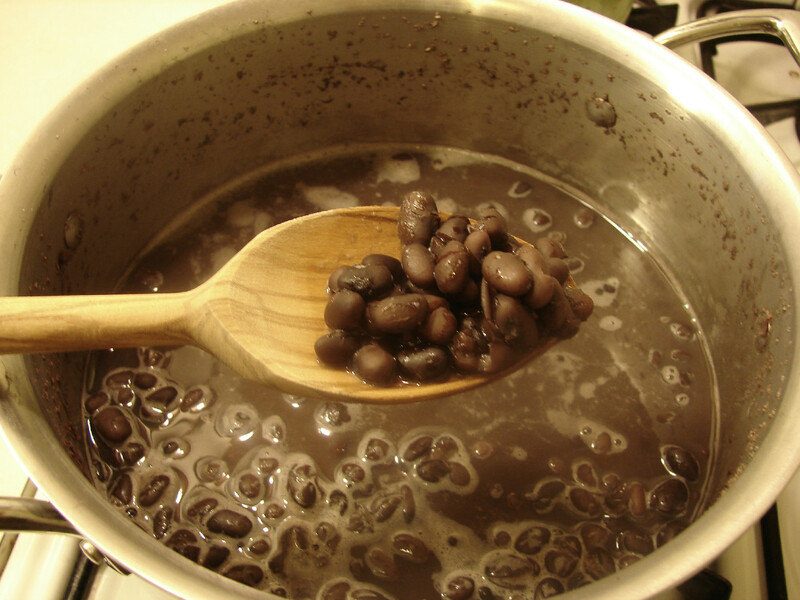 That said, here’s a post on cooking black beans. Canned beans are convenient, but the cans they come in are lined with plastic that usually contains bisphenol A (BPA). Studies on BPA show a variety of negative health effects on people and on animals. (I’m not talking about studies done by or funded by companies that manufacture BPA because they always say it’s safe when it most certainly is not. I’m talking about independent studies that aren’t funded by or affiliated with BPA manufacturers.) Additionally, the texture of beans you cook yourself is superior to the texture of canned beans. Canned beans are usually too mushy. Plus, cooking your own beans costs less money. 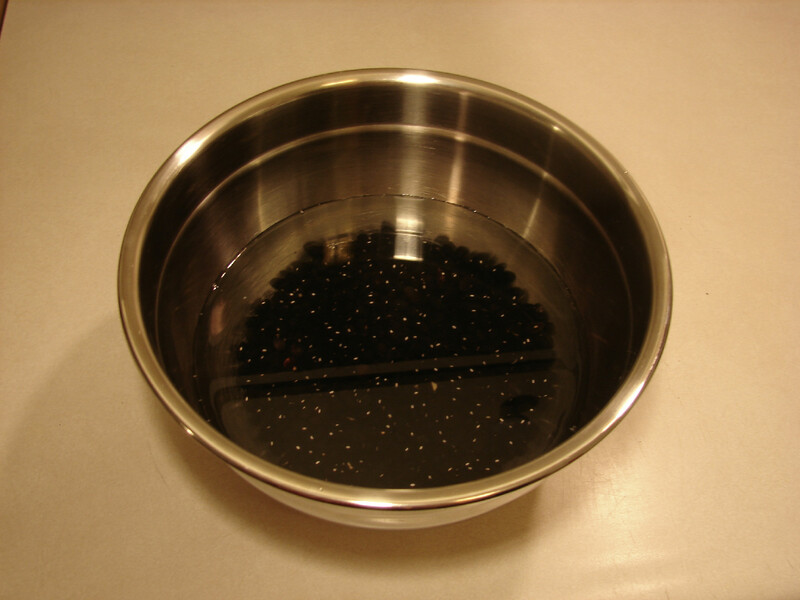 Measure out one cup of beans, rinse them and put them in a bowl. Discard any wrinkled ones. Add enough water to cover the beans by at least two inches. I use filtered water to soak and cook beans. Discard any floaters that come up. 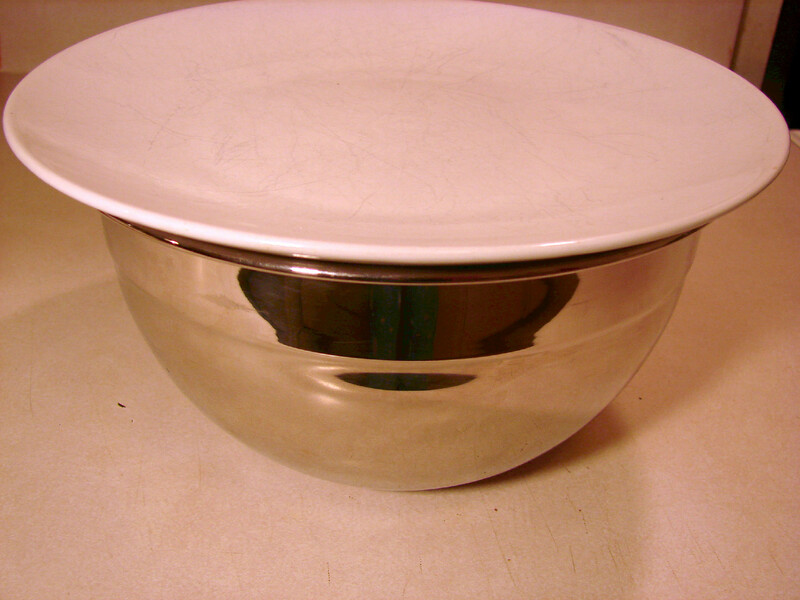 Cover with a plate or bowl and soak overnight. In the morning, drain the beans. Add them to a pot (I used a three-quart pot), pour enough water in to cover by a couple of inches, cover the pot with a lid and bring beans to a boil. Cover and simmer for an hour to an hour and a half. You can see here that the beans have expanded and some of the water has boiled off. Add more water as needed while the beans cook. 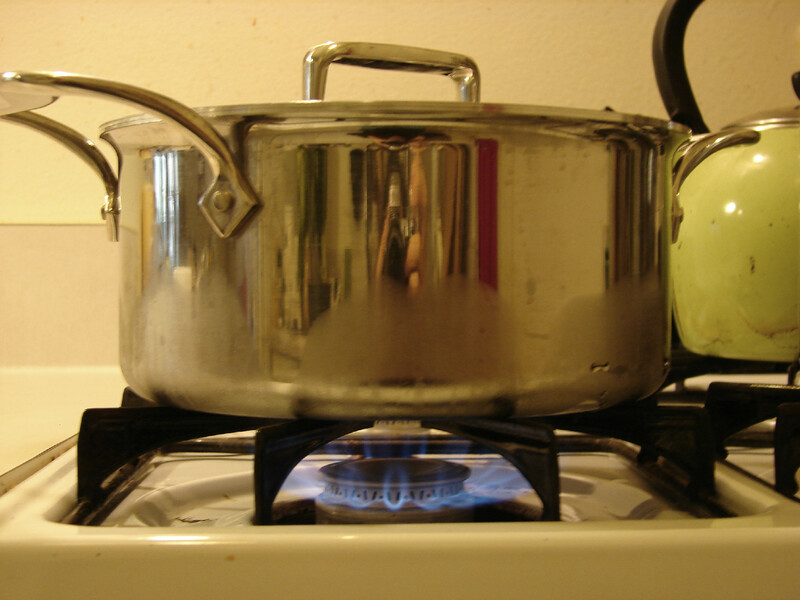 The cooking time depends on the kind of pot you use. I used an All-Clad pot and the beans took about one hour 15 minutes to cook. 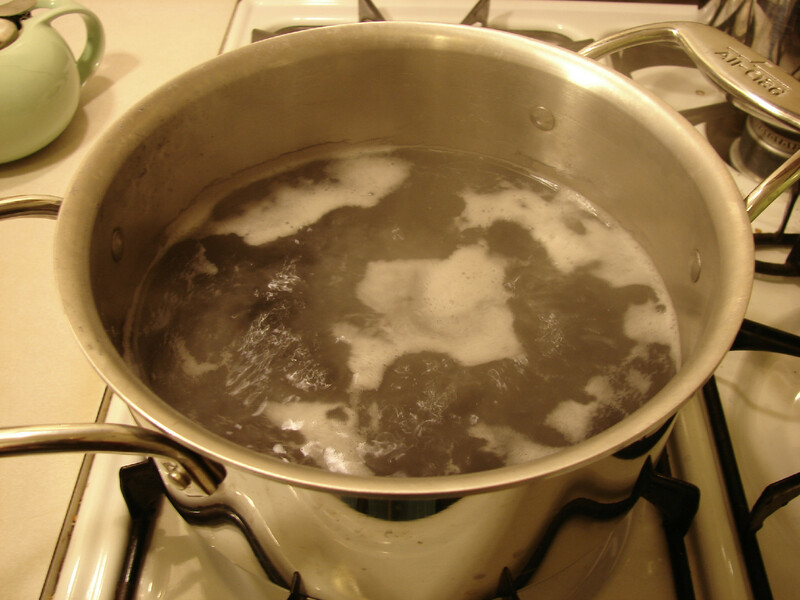 Another thing that’s important is to pay attention to the pot so it doesn’t boil over. This happened to me when I was cooking mung beans yesterday. I didn’t notice that the pot had boiled over until my house started to smell like it was on fire. (I’m pretty stuffed up right now so that’s probably why I didn’t notice earlier.) The mung beans were fine though. Drain and store in a jar in the fridge until ready to use. If you need the liquid for a recipe, you can also store the beans in their liquid. My mum likes to make refried beans from pinto beans, and her recipe requires the watery “bean juice.” She usually makes a large batch of pinto beans and stores them in the fridge or freezer in their liquid. If you freeze the beans in their liquid, be sure to use a wide-mouth jar so that when the liquid expands in the freezer, your jar won’t crack. You can also freeze the cooked beans drained. You can use these in dishes such as rice and beans, burritos, tacos, salads, or any other dish that calls for canned black beans. I’ve also seen recipes for black bean brownies. I haven’t been able to find a plastic-free version for those, so I’ll have to come up with one. Look for that post soon! 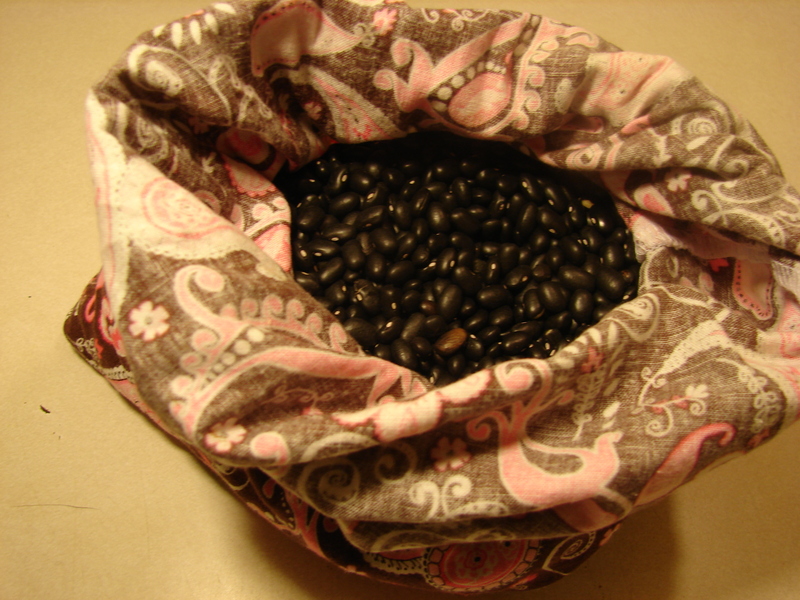 If you cook the beans in a Pressure cooker it only takes 12 minutes- for black eye peas. Black eye peas have a high protein content. While the beans cook, I saute, finely chopped scallion onions and tomatoes, and if you like hot, you can add hot peppers. Add cumin and coriander, salt, to taste. Add to beans and simmer for 10-15 minutes, add cilantro leaves before serving. Serve with rice. Sometimes I add about 1/2 inch cut red potatoes, and carrots or replace potato with green plantains. I do this after the beans are cook and before I add the saute mixture. This is a Colombian style type recipe, they vary from region to region. Through the years in this country I just created my own recipe. I usually don’t even soak them, it just takes an additional 20 minutes of cooking time and they’re good to go! I may be biased but I feel like they’re much more flavorful than when I used to soak them overnight.